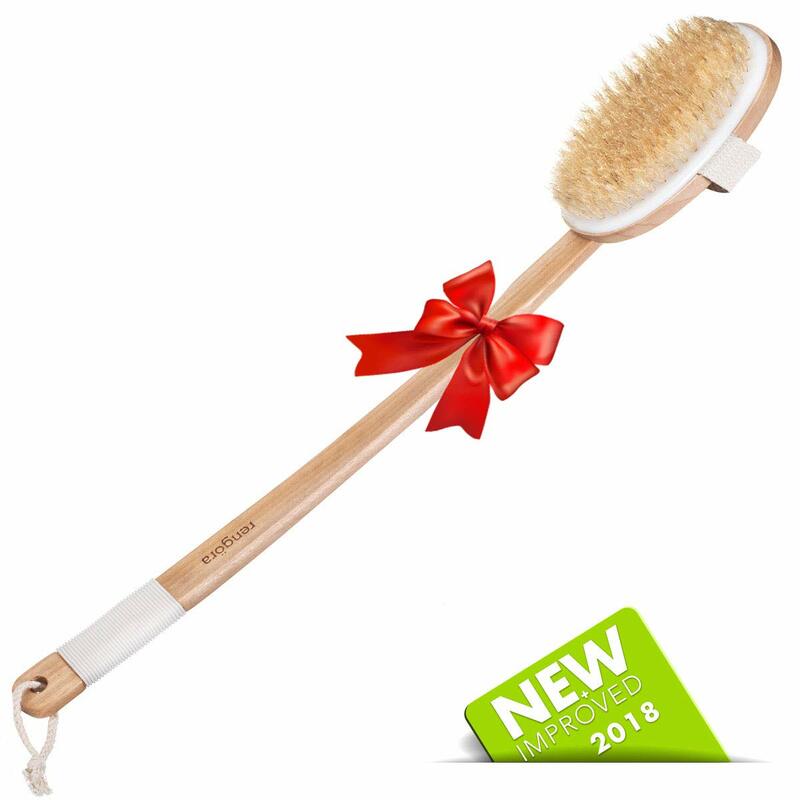 Softness: Hard/Stiff Nylon bristled long handle bath brush 14inch long and easy to hang and quick dry Great with any soap Available Color : Clear Apply soap, rub gently to create lather. Hang to dry after use. Recommend replacement every two month. 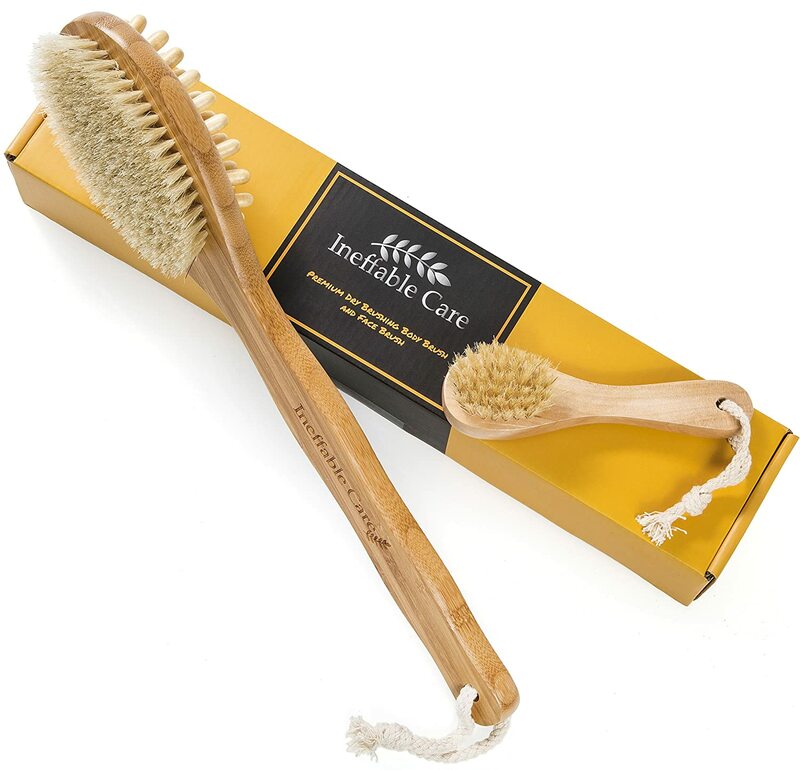 Good brush, durable and lasted years until I started using it to apply Permatex hand cleaner to my back. Then the area between the head and the handle developed several cracks. Then the brush broke in half while it was used. I thought the cracks were the result of me dropping it many times over the years. So I bought a new one, and the same cracks appeared after just a few uses. The new brush broke the same way. Somehow the chemicals in the hand cleaner corrodes the plastic, probably seeping in through the opening for the bristles. Just don't use it for applying hand cleaners that auto mechanics use to clean their greased hands..The bristles are stiff enough for me. This brush is just like the ones I used to buy at Target and they work just the same. The bristles are a little stiff at first but that's expected and will get softer w/ use. I will continue to buy this product as often as I needed since it's helps me reach the middle of my back while taking a shower. I would make sure that it drys properly after every use because eventually you will get black mold on it if it sits in a small pool of water or if the water does not drip off the bristles and drys properly. To me, the mold isn't a design flaw but something that just happens due to it being in a moist environment. 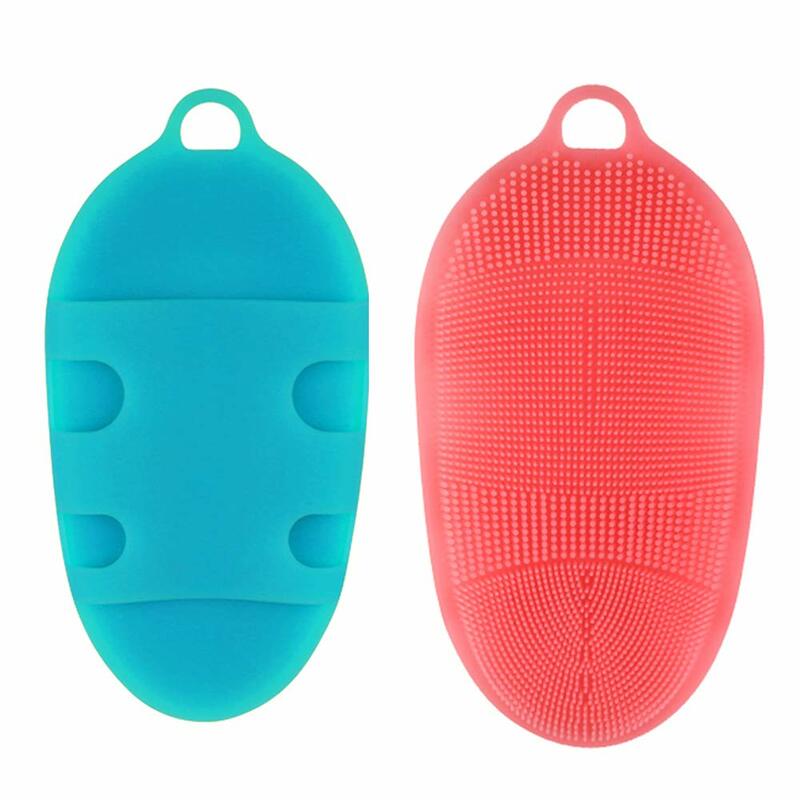 I found this and got it asap I was looking for a device to reach my back areas to clean in shower and bath and this does that job. Has a perfect length. The hand is very comfortable. The materials are perfect for a fast dry after use with water. Pretty also. Fells great on my skin not to harsh or to soft. Exfoliates while cleaning hard to reach areas.comes with a loop so it's easy to hang and store when done. Came as it was described packed nicely. Highly recommend. I'd give 5 stars if I thought the handle wouldn't break but it is acrylic so don't drop it. The brush works great. I can finally reach my back! The bristles seem tight but I've used it only a few times so far. They're rough so don't scrub too hard or you'll leave yourself raw. Definitely does its job. I ordered this particular one because I ordered the same thing a year prior. It was simply time to replace the old one, as it was soap-scummed and had some amount of mold that had formed. But when I got this new one in, the bristles were a LOT softer, not as firm as the last one, thus I don't get the back-scratching scrub I used to get. Not a fan. I've purchased several back brushes over the years, and none of them has been perfect. This one comes closest though. And at $5, it's quite the bargain! I'm a guy, and I like a stiffer bristle. This bristle is so stiff, though, that I have to press very lightly - if I press like I normally do, this scratches my back. This is actually a good thing, since I've pressed so hard with other brushes that I've snapped the handle in half. The bristles are rather sparse though, which is my only complaint. Speaking of the handle, it's long enough to reach the middle of my back, but not too long. This handle is plastic, with no rubberized handle cover. This is also a good thing, since I've had a wooden handle with a rubberized handle cover that rotted under the cover after a month or two. I've had this one a couple of weeks, and it still looks brand new. When it comes time to replace it, I'll be getting this one again. 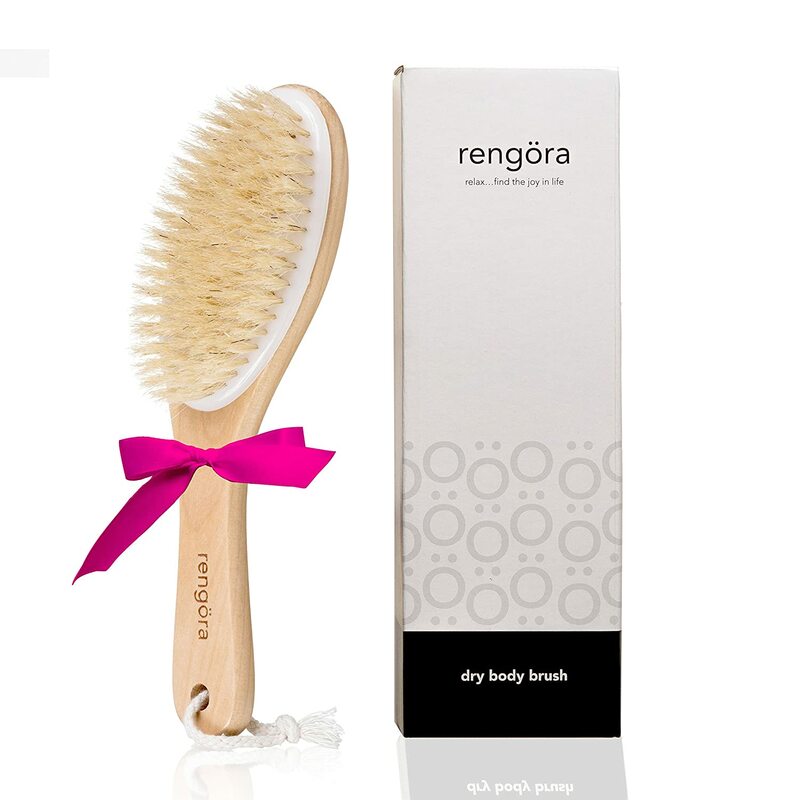 I loved this brush initially (great hardness of bristles, handle was perfect for slippery shower, and the brush head was the perfect size) but without a clear way to clean it i soon became concerned about the bacteria that my shower might have left thriving in it. now it's been hanging on a hook in my bathroom for several months. i can't bring myself to throw it away but it smells like a wet dog and i would NEVER clean myself with it. would be a better product if it were more long-lived or had some instructions on how to keep it fresh and clean. i guess now i can use it for cleaning the toilet-- ha. however, for the price this product served me well while it lasted. 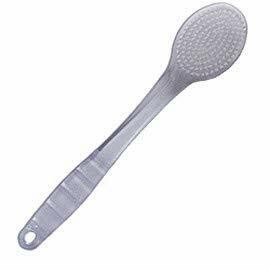 great exfoliator, easy to get to my back and shoulders. it held soap well and was an all-around trusty scrubber for me.